Back in the 19th Century, there was no Photoshop to trick people with retouched images. 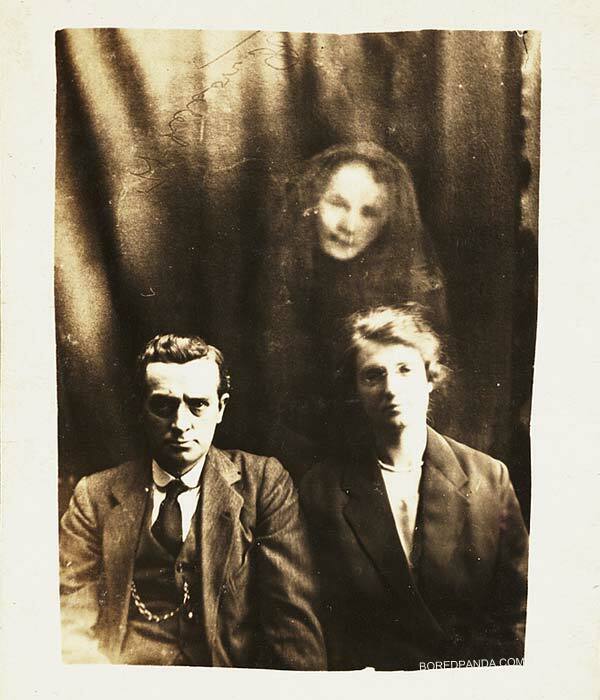 But that didn't stop William Hope from taking photographs of ghosts. 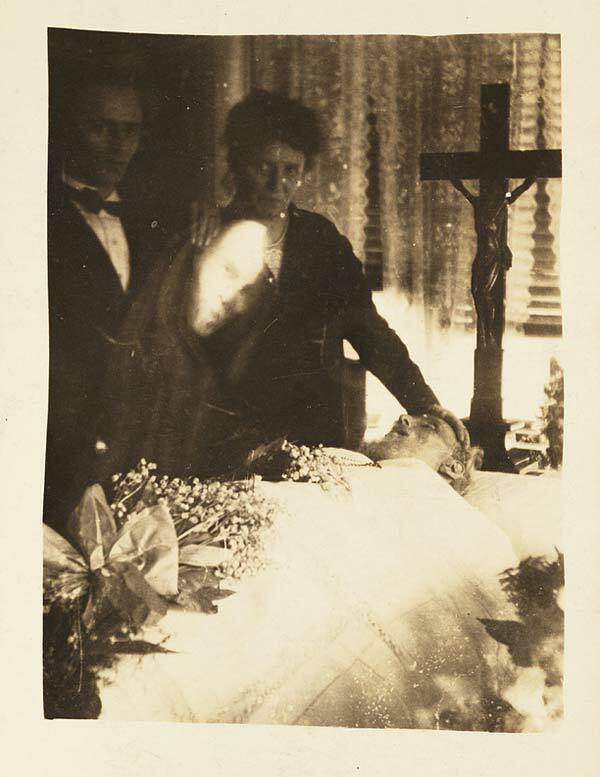 In the 19th and the beginning of the 20th century, most people were new to photography. By itself, it was a magical process. How can glass capture reality on a silver plate? Some people didn't even want their photos to be taken, fearing their souls would be stolen by the camera. Hope and his friends—a group of clever crooks who called themselves the Crewe Circle—took advantage of this general ignorance about how the technology worked. They learned that, by double exposing their plates, they could create fake images of the spirits of the dead into photographs of living people. The results were spooky. Even knowing that they are fake, I look at them and feel the chills today. Imagine how it was back then. Even very smart people, like Sir Arthur Conan Doyle, bought into it. When Hope was exposed as a scam artist by the Society for Psychical Research, the writer defended him. Conan Doyle didn't apply his famous scientific reasoning to spiritualism, of which he was a follower after the sudden deaths of his brother, his two brothers-in-law, and his two nephews. Source~Send an email to Jesus Diaz, the author of this post, at jesus@gizmodo.com.